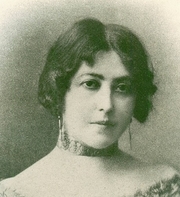 María de la Concepción Jesusa Basilisa Rodríguez-Espina y García-Tagle, known as Concha Espina, is credited as the first Spanish woman to earn a living solely from her writing. She was a prolific writer and won several prestigious prizes. Her best known works were the novels La Niña de Luzmela (1909), which described life in a Cantabrian village and La Esfinge Maragata (1914), which explored the living conditions of the women of Leon. Concha Espina is currently considered a "single author." If one or more works are by a distinct, homonymous authors, go ahead and split the author. Concha Espina is composed of 4 names. You can examine and separate out names.